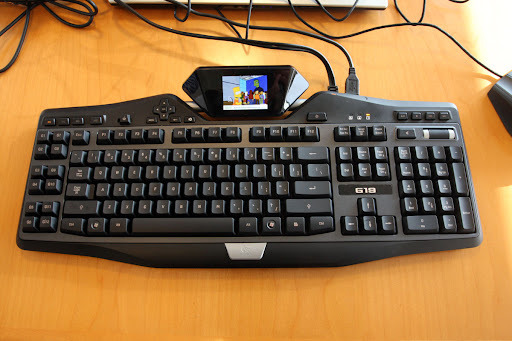 Gnome15 provides a panel applet, configuration tool, macro system and plugin framework for the Logitech G series keyboards, including the G15 and G19. The intention is to provide the best integration with the Gnome desktop possible, using the standard protocols and libraries where possible. Gnome15 comes with many plugins for displaying various info on your keyboard, such as a Cairo Clock, Notify LCD, a calendar integrated with Evolution, RSS reader, volume monitor, display the weather (using Google API), system monitor (displays current CPU, network and memory summary), display the current track information (works with Rhythmbox, Banshee, Audacious, XMMS2 and more) and even an experimental video player. Until today, you had to compile Gnome15 to use it in Ubuntu, but WebUpd8 Reader MastroPino sent as an email which points out that Gnome15 can now easily be installed in Ubuntu using a PPA (currently available for Ubuntu 10.10 Maverick Meerkat only!). 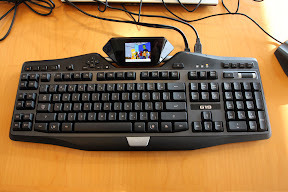 Note: I do not own such a keyboard so I did not test Gnome15! For more info, visit the Gnome15 website.